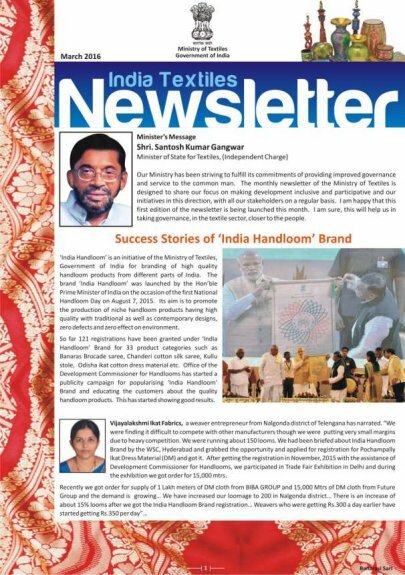 The Union Textiles Minister, Shri Santosh Kumar Gangwar today launched the first edition of the e-newsletter of the Ministry of Textiles. The newsletter will share important news on the functioning of the Ministry and on the developments in the textiles sector, with a view to better empower and engage all our stakeholders, and thereby take governance closer to the people. The first edition of the e-newsletter is available here.